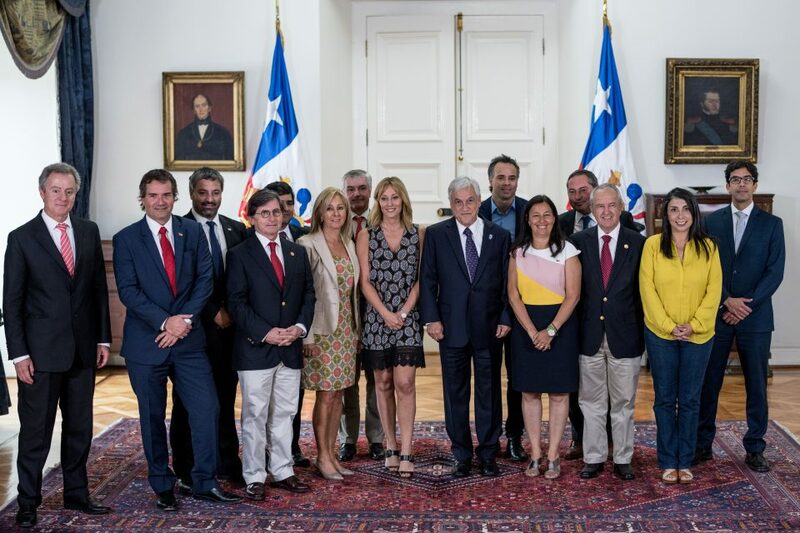 In the presence of Chilean president, Sebastian Piñera, and Panam Sports President, Neven Ilic, the Organizing Committee for the most important sports event in the region was announced at La Moneda Palace. This Committee is composed of nine professionals who are on a mission to make the biggest Games in the history of Chile a reality. SANTIAGO, CHILE (December 18, 2018) – The Santiago 2023 Pan American Games Organizing Committee was chosen several weeks ago, however, it was the Chilean president, Sebastian Piñera, who would announce the news publicly to the media and the continent. The highest sports authorities were called together at La Moneda Palace, including Panam Sports President, Neven Ilic, for the announcement of the nine professionals who will work tirelessly to deliver the mega sporting event. “We are kicking off the Santiago 2023 Organizing Committee, the people in charge of organizing our Pan American Games. We are extremely happy because this is the most important event that we have ever hosted in our country and it calls for everyone’s effort,” said Chilean Sports Minister, Pauline Kantor.